I don’t know about you, but I really love trying out new products and finding new things to be obsessed with. Wait… maybe obsessed isn’t the right word. Does that sound weird? You know what I mean! What movie does that favorite things song come from? You know…” these are a few of my favorite things…” Sound of Music, maybe? Honestly, IDK, but the point is… today, I’m sharing some of my favorite things with you today! I’ve purchased a lot of different things lately that have become total game changers in my life. These are products that I use pretty much every single day and have really impacted me in some way! I’ve linked all these products for you to make it easy for you to check out the products and some of the links are affiliate links. So, let’s start with beauty, shall we? 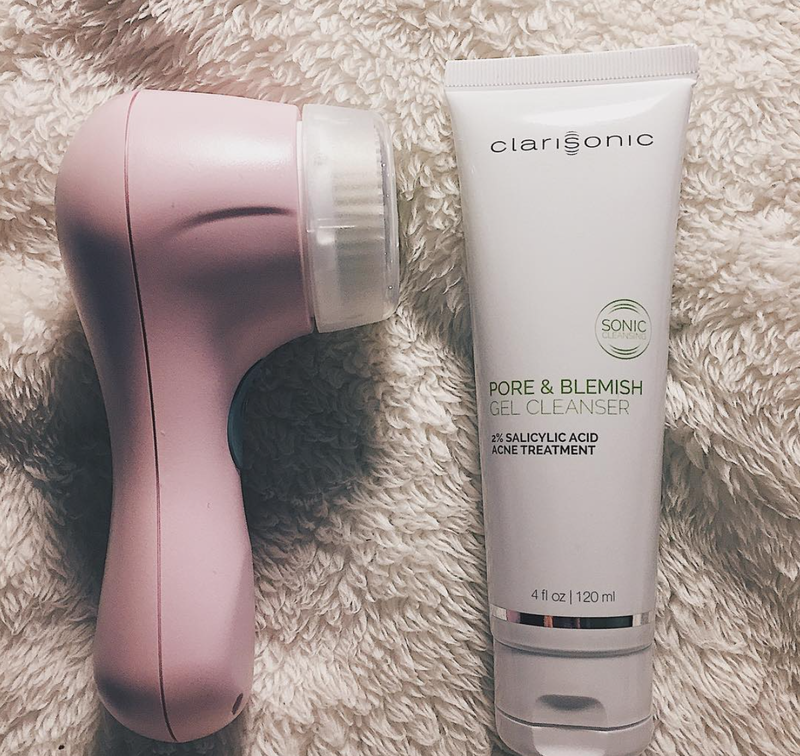 Clarisonic Mia 1 - I received this a few months ago and wrote a post about it, but stopped using it for a while. Why? There’s really no reason other than I was lazy, but I started using it again and you guys… it is such a great freakin’ product. Coconut Oil - I love this stuff. I use it every day to oil pull and occasionally use it to take my makeup off or as a hair mask. Coconut oil is a very multi-use products that is great for your health. BabeLash - I’m not an extensions or fake lash sort of gal and have super short lashes. I discovered this product about a year ago and haven’t stopped using it since! My lashes are thick, full, and long! This is such a game-changer! African Black Soap - I’ve got some rough skin. I’ve talked about it a few times here, but basically, I get really bad hormonal acne. Nothing seems to help, but I’ve been using this stuff for about two weeks and have noticed some improvement! I wash my face every morning with this! Now, time for wellness! I’m working every day to clean up my diet and lifestyle, so I love finding new products that help me live a healthy lifestyle! Sleep mask - I bought this $10 one from Amazon and I sleep so much better! It blocks out ALL the light and it’s just $10! You can’t beat that! Silk Pillowcase - YES YES YES! The ultimate game changer. Silk pillowcases are the best for your hair and skin and I spent like $20 on this one! I absolutely LOVE it. Once you sleep on a silk pillowcase, you won’t go back to anything else! Alive Women’s Multivitamin - So, I really like to get all my vitamins and nutrients from foods, but right now.. that just doesn’t always happen, so I decided to try out a multivitamin. I wanted one that was natural and specifically for women, so I bought these Alive vitamins! I love these! I actually only take half just because I really try and get everything from the food I eat, but I like that this vitamin can help fill in any gaps! Swell Water Bottle - I loved my Camelbak, but it didn’t keep my water cold, so I caved and bought a Swell bottle. Yep, I’m never turning back! I even bought this straw lid for mine! Phone Wallet - I got one for free in college during a basketball game and since then, I’ve been hooked! In college, I would keep my access card to get into the AOII house, my license, and my student ID. Now, I just keep my license and debit card! It is so easy to not have to worry about grabbing my purse if I’m just running a quick errand! I bought this one from Etsy and no, your cards won’t fall out! 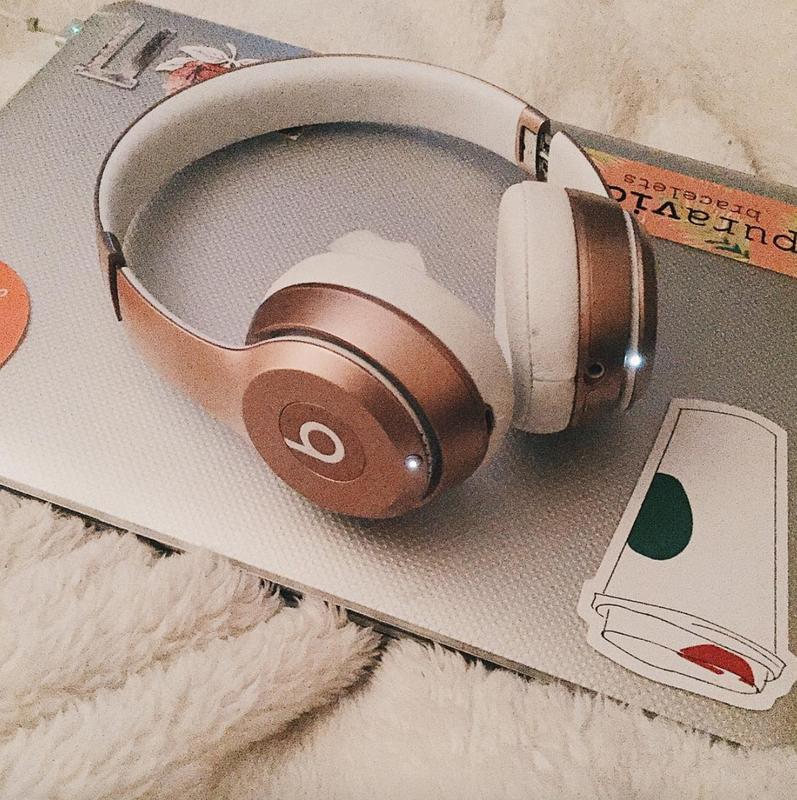 Beats - I never thought that I would own Beats, but when I bought my MacBook, I got them for free and I love them! They block out like all other sound and are wireless! Once you go wireless, you will realize how you ever lived without it! Now, it is your turn! Share 5 of your favorite things in a comment! What are you loving right now?